The United States on Thursday urged Sudan’s army to bring civilians into government after ousting veteran leader Omar al-Bashir, saying an announced two-year timeline was too long. Washington calls “on transitional authorities to exercise restraint and to allow space for civilian participation within the government,” State Department spokesman Robert Palladino told reporters. 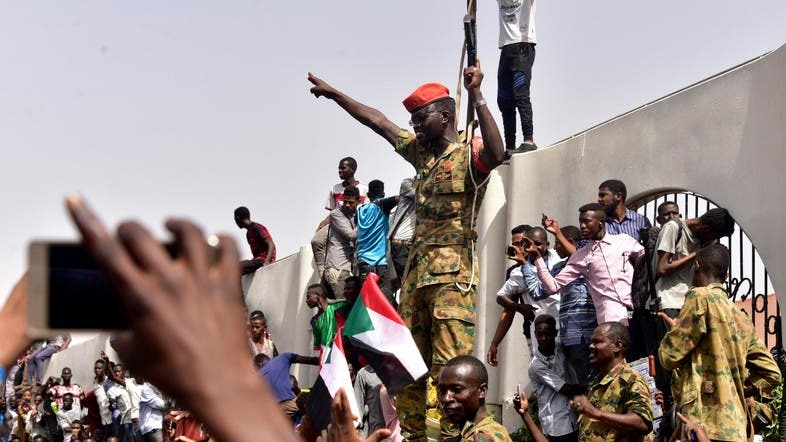 His comments came after Sudan’s army announced “the toppling of the regime,” to be replaced by a transitional military council, but there was growing international pressure for a handover to civilian rule. “The Sudanese people should determine who leads them and their future and the Sudanese people have been clear and are demanding a civilian-led transition,” Palladino said. “The United States position is the Sudanese people should be allowed to do so sooner than two years from now,” he said. The United States had been trying to mend relations with Sudan after years of tension with Bashir, who seized power in 1989. Bashir remains wanted by the International Criminal Court for crimes in the western Darfur region that Washington has described as genocide. Palladino said that the United States supported accountability on Darfur but declined to specify whether Bashir – or the coup leader, Defense Minister Awad Ibn Auf – should face extradition. “We believe that the victims of Darfur deserve justice and that accountability is essential for achieving a stable and lasting peace in Darfur,” he said. “The United States continues to call for those responsible for the horrific crimes that were committed in Darfur to be held accountable for those actions,” he said. Also Thursday the State Department raised to the highest level its travel advisory for Sudan. “Do not travel,” it warned, after ordering the departure of non-emergency US government employees from the country. “There is a national state of emergency in effect across Sudan, which gives security forces greater arrest and incarceration powers,” the advisory said.